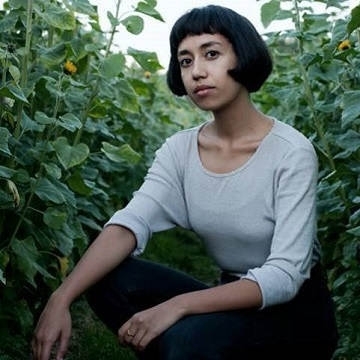 Haley Heynderickx debut album, named I Need to Start a Garden out of a search for calm through these waves of uncertainty and upheaval, is available now via Mama Bird Recording Co.
Heynderickx grew up in a religious household in Oregon, closely identifying with her Filipino roots, but also straddling multiple cultural identities. Now residing in Portland, her faith is not overt, but her introspection and continued struggle for self-actualization are easily accessible and relatable. Likewise, the tracks on I Need to Start a Garden reflect these seemingly disparate elements. Through soft acoustic guitar picking and deftly accented trombone sighs, Heynderickx’s music immediately recalls folk music of the '60s and '70s mixed with a love of jazz radio. But Heynderickx’s singing—her vocals that range from sultry to operatic - belie a tenacity in her soul.